So one of the things you have to decide on when choosing Linux as your desktop OS is what distribution (or “distro”) to go with. There’s a ton of options, but I’m not even going to get into it. 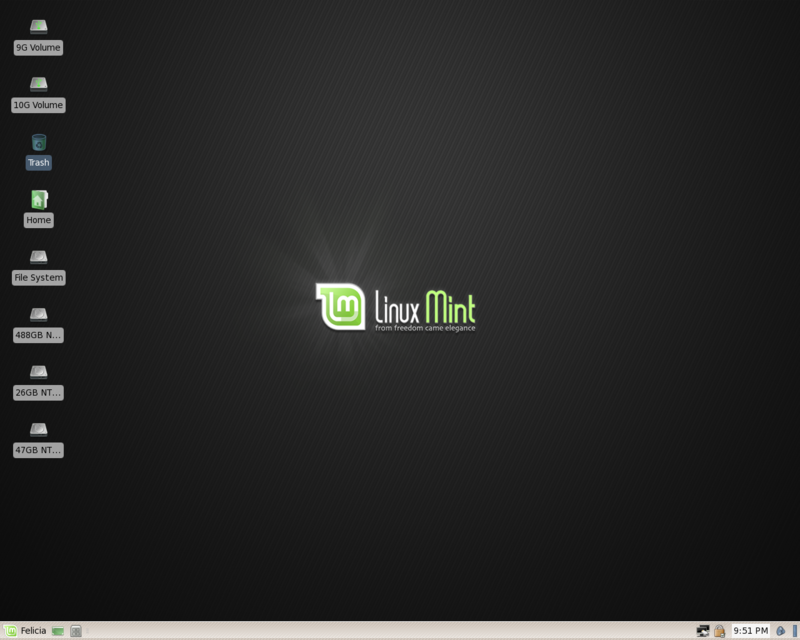 I’ve chosen Linux Mint, which is a Debian system based on Ubuntu. 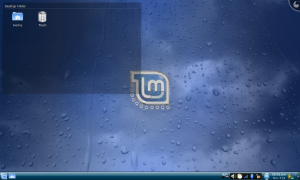 It has a lot of Windows elements: a standard desktop look with applications and files and shortcuts, a “start” menu, a clock and system tray. 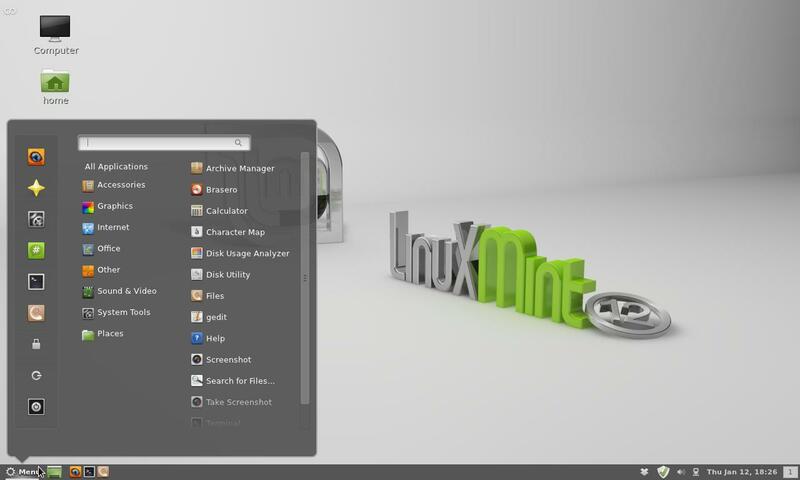 Another option is KDE. I used this one when I first switched from Windows, mostly because it was so close to what I was used to. KDE is honestly pretty close to the look of Cinnamon. 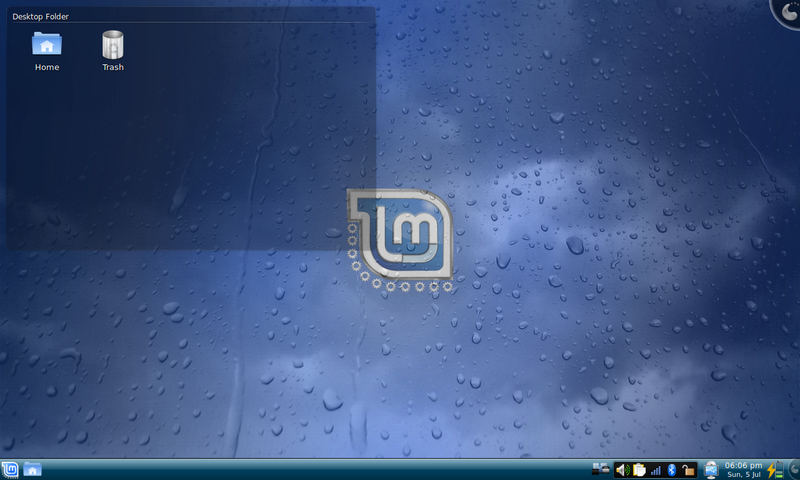 I switched to Cinnamon because of how easy it was to use compared to KDE, and how much lighter it felt. There are some other more technical details, but really it’s pretty close. The third choice is XFCE. And… apparently it looks extremely close to the other options. It’s supposed to be “lighter” than the others. In fact, probably the biggest difference in all these screenshots turns out to be the wallpaper. The ultimate choice is yours. If you’ve got an older computer, you should probably go with XFCE, as it seems to work a lot better with fewer resources. But if you’ve got a reasonably new computer, it really won’t matter. In fact, you can install all of them, and decide which one to use when you log in. Previous PostPrevious We Have Milestones!